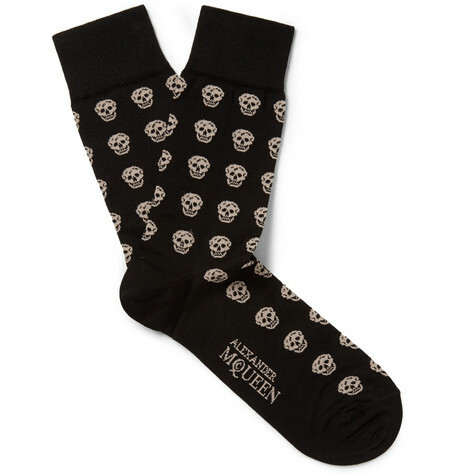 Patterned with Alexander McQueen’s trademark skulls are the all-new cotton-blend socks from the prominent British fashion house. 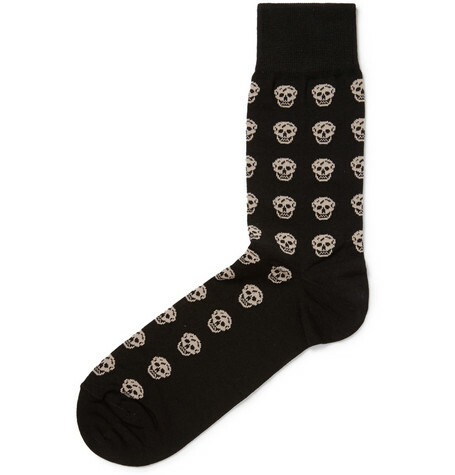 The alluring black socks, emblazoned with off white skulls are a nice touch of rock-n-roll while dressing up or down. 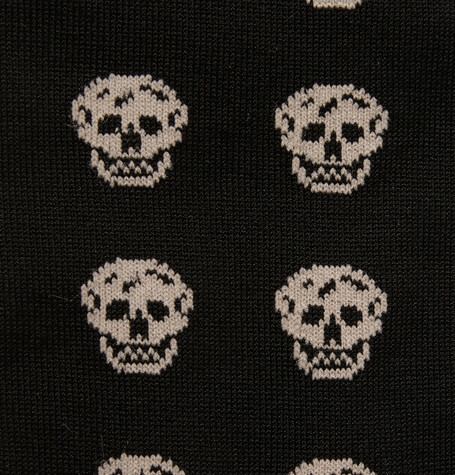 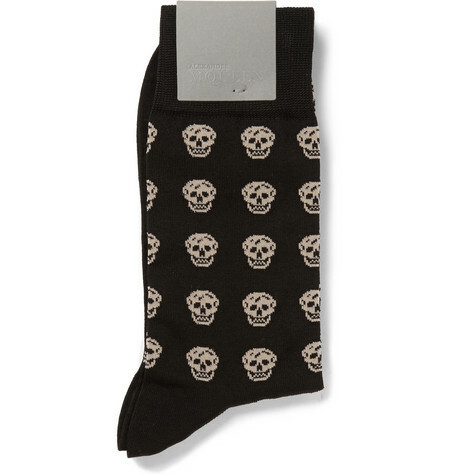 The Alexander McQueen skull-patterned cotton-blend socks are available now from MR PORTER for $70 USD.